Discussion in 'Pin Comparison' started by starry_solo, Oct 21, 2018. I thought we could have a list of scrappers that have shown up on various sites (auction and non-auction). 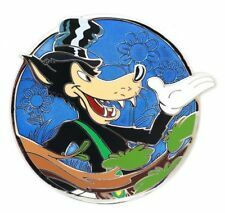 We usually have people talking about new scrappers in Disney Pin Discussion, but I thought that we might be able to get a list together here. We all know to look at some specific eBay sellers (cannot be mentioned in this thread). This is, by no means, an exhaustive list. 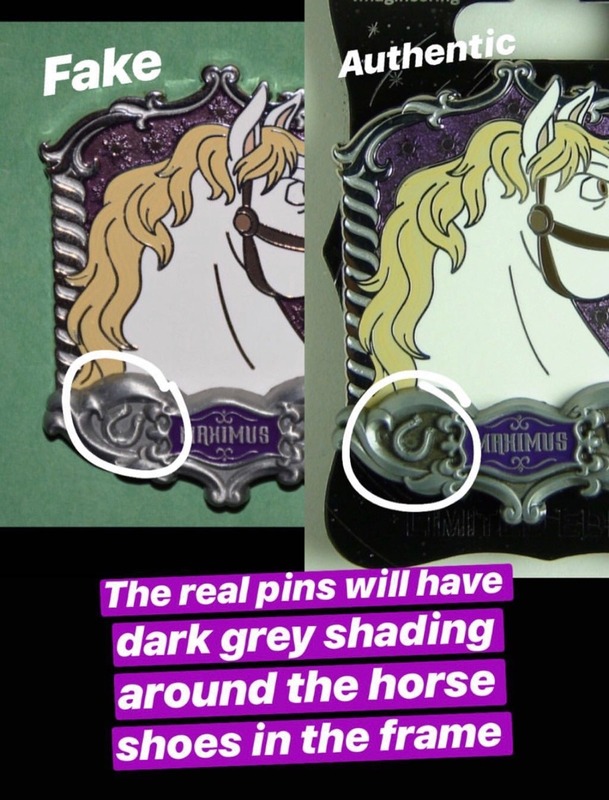 The 2014 DS UK / Europe Sleeping Beauty pins showed up on the notorious auction site sold by a well-known scrapper/counterfeit dealer. What's sad is that it's the entire set! The PTN Maid Marion is heavily scrapped. I’m even afraid to try to trade for it at this point. Kerri780 and starry_solo like this. I have a few of these pins that I got at the Disney King Pins event last April (?) so, hopefully they will let me trade those away at their next event. How can you tell a scrapped steed from a legit one? 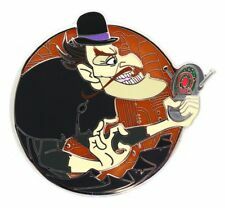 Also, someone brought up that the Pete from the WDI Villains profile series has fakes showing up. I saw one person had it in his book already. Starting to feel wary that this could mean more profiles are in the process of getting faked. Wait, the hinged crests too?! Ugh, I will keep an eye out on those and post scrapper warnings on PTDB. I don't know if it's all of them, but Snow White and Tiana are being sold by the same least favorite sellers. Also, the 2017 WDI Pirates of the Caribbean "Pieces of Eight" Mystery set. I've noticed pretty much anything with those thick detailed metal borders has been scrapped. I'd think those would be harder to do, but maybe it's moot if you have the mold. Sad sad news about those majestic steeds. Does anyone know how to tell? Except that they're listed for $14.95. I'd be careful with any pin without WDI packaging. But until someone figures out they have a bad pin and posts differences... I'm curious to know the details of the FAC or similar number. Is it molded or etched, and if it's missing from the unauthorized? The ones Hopemax helped me look at the colours were noticeable off when compared to pinpics, e.g. Angus had a horrible dirty yellow nose and the eyes around Sitron did not have the slightly different shade circle around the eye, Khans nose was also off. So the photos above are of the counterfeits? @starry_solo. No the ones on ebay that are listed (the fakes) are noticeable off coloured compared to the legit ones. So I found an Ebay auction with backs. Looks like the FAC is molded on the Majestic Steeds, so that's not going to help us. Also, in 2016-2017 I was doing a pretty good job of saving lists of Ebay auctions by our least favorite sellers, but I slacked off in 2018. It's end of October, and it's the first time I went through them. Now I'm all depressed again. WDAC Animation Shorts Mystery Set - The LE chasers. noone, Disneychildwithin, Kerri780 and 2 others like this. Interesting stuff. So sad that the mouse can't or won't step in to help out the hobby. Atleast DPF is around to help when it can. Good post Li. 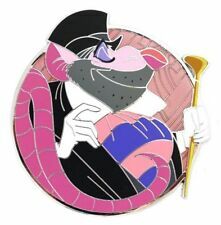 WDI LE250 Villains Profiles have been scrapped! How is this even possible? 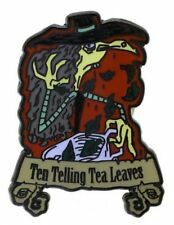 These pins JUST came out? Someone associated with the factory knows there is $$$ to be made. So they sell the actual scrap produced during Disney's official run or they do overruns (Disney orders 1000 they actually make 2000). Either way, the unauthorized stuff is made when Disney's run is made. That's why occasionally the bad sellers start selling stuff even before Disney releases it. 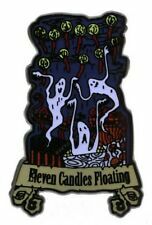 Different than the counterfeiters who get a real pin, and then send it out to be duplicated. Those take awhile to show up because they are manufactured later than Disney's. This difference is also why the old rules about "fancy pins being less likely to be unauthorized" doesn't apply. When the Disney factories are doing it, anything goes. But unscrupulous US people who send off a pin to be counterfeited, still stay clear of these because there are so many cheaper options.